Jesus died for sinners and rose to life. His kingdom will fill the whole earth. Jesus will judge the living and the dead. Repent and believe in the gospel! Thirty-three years after the apostle Peter confirmed the beginning of the last days before the end of the age, Josephus reports that the temple priests, while performing their sacred duties, "heard a sound as of a great multitude, saying, "Let us remove hence" . This occurred on the day of Pentecost, the 6th day of Sivan (May 22nd) in 66 AD. Tacitus corroborates the report by noting that "a voice of more than mortal tone was heard to cry that the Gods were departing" . Both historians describe these superhuman voices being accompanied by "a quaking... a great noise... and a mighty stir as of departure" (Ezekiel 1:24, 10:5-6). 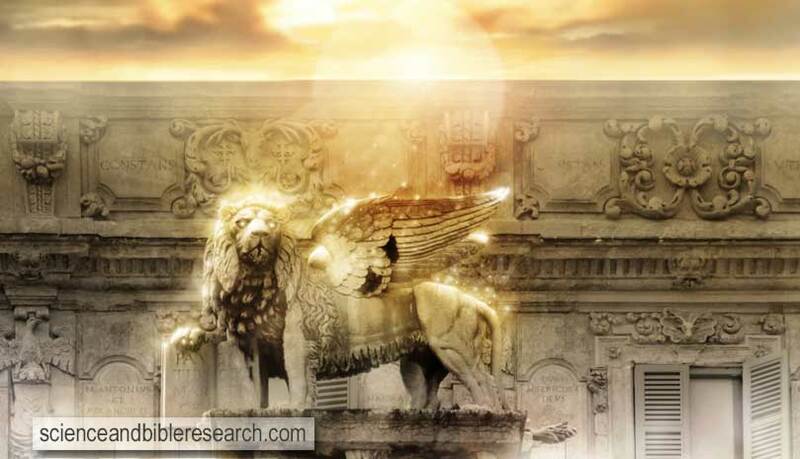 These superhuman voices were those of the four living creatures (Ezekiel 1:10-13), or cherubim (Ezekiel 10:14-15), departing from the temple and who now reside in Heaven around the throne of God (Revelation 4:6-8). Four years later, Roman general Titus would come and destroy Jerusalem and burn down its temple, just as Jesus foretold circa 30 AD. These astounding events (i.e., the departure of the cherubim and Jerusalem's desolation) illustrate that God does not dwell in temples made of wood and stone (Isaiah 66:1, Acts 7:48-49). The living God now resides with those who believe in his only Son, the Lord and Savior, Jesus Christ (John 14:23, 1 Corinthians 3:16). Steve Sabz is the author and founder of Science and Bible Research. He is a professional educator with a Bachelor of Science degree in Exercise Physiology from William Paterson University, where he also completed graduate level courses in Human Physiology and Endocrinology. Currently, Steve is pursuing a Master of Arts in Systematic Theology at Puritan Reformed Theological Seminary. Steve is also the author of Evolution's Complexity Problem: See How Evolution Falls Apart At Its Beginning and End Time Rewind: An Exploration In Bible Prophecy And The Fate Of The World. Chosen people: Is God a racist? Is the kingdom of God a futuristic, physical kingdom, or a current spiritual reality? Science and Bible Research proclaims the power, glory, and love of the now-and-forever reigning Lord and Savior Jesus Christ revealed in the Bible and through science.